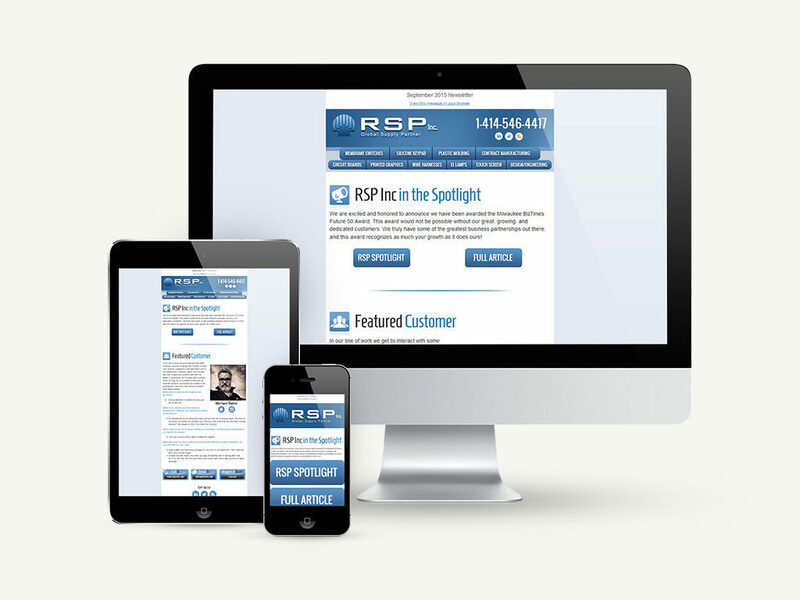 Given a blank canvas and little direction, these email templates for RSP Inc. were designed and coded to be mobile & desktop friendly. The design of the template was based on the look and feel of the company's website. 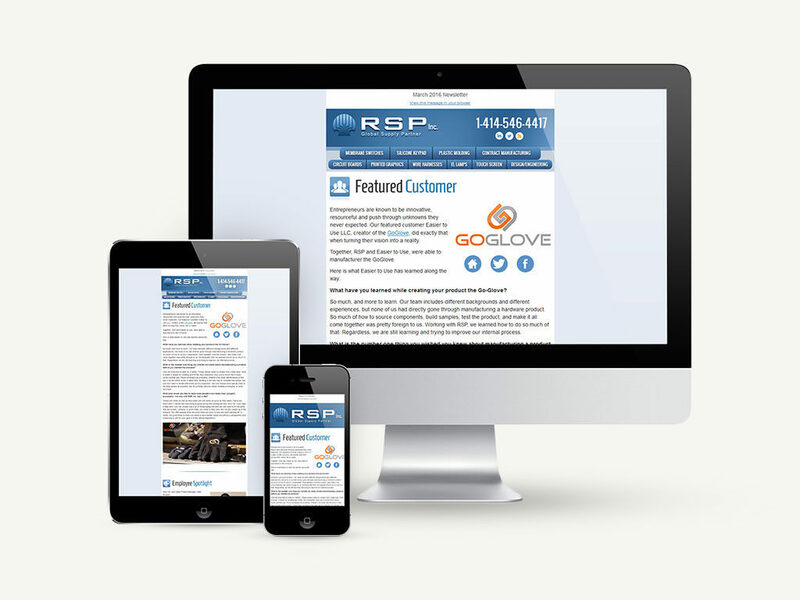 The template was hand-coded and tested across all mobile and desktop email clients using the online resource Litmus. Once the templates were approved, the content, strategy and sending of the subsequent emails were handled by an independent contractor.